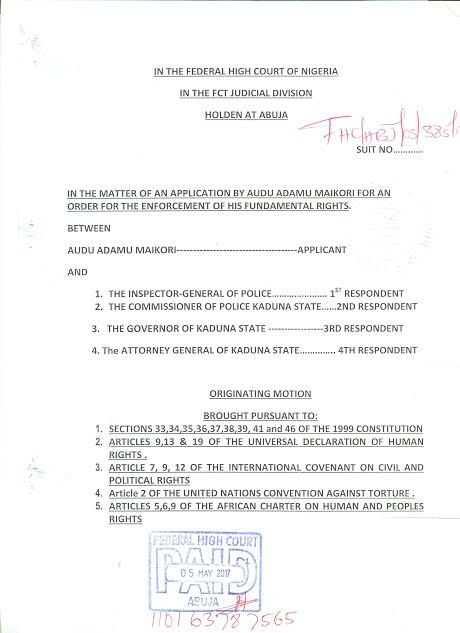 Nigerian Social Activist, Audu Maikori Sues Governor El-Rufai For Arrests & Unlawful Detention! 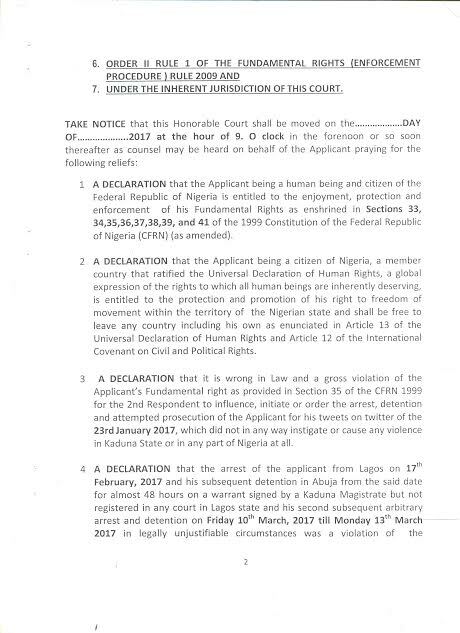 Nigerian entertainment mogul and social activist, Mr. Audu Maikori has sued the Governor of Kaduna State, Mallam Nasir El-Rufai for the gross violation of his human rights. 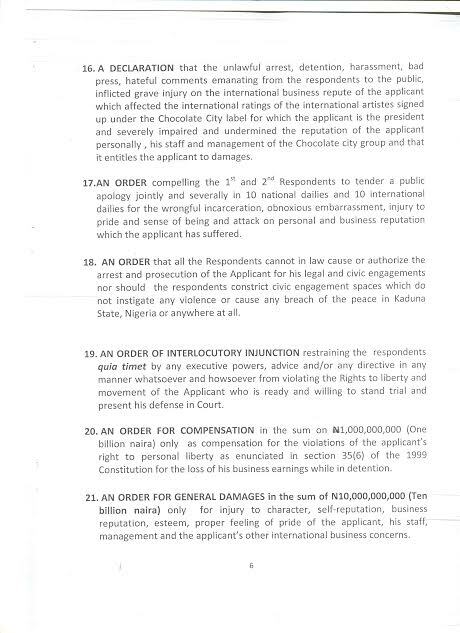 In a suit (FHC/ABJ/CS/385/17) filed by his lawyers, Ballason’s Chambers at the Federal High Court, Abuja, Mr. Maikori, is seeking damages against Governor El-Rufai to the tune of N10 billion. 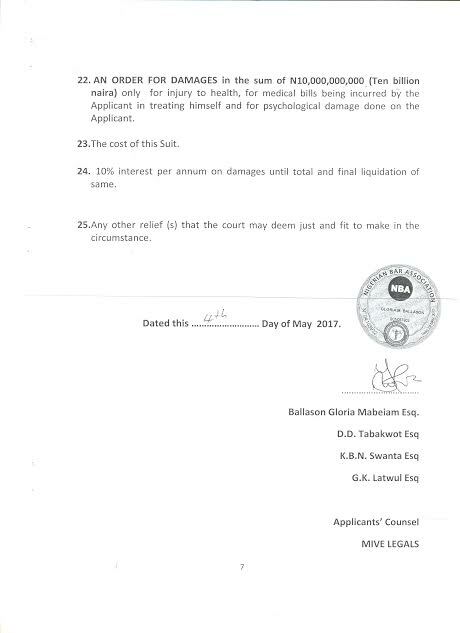 According to details of the suit, which came up for hearing before the trial judge, Hon. 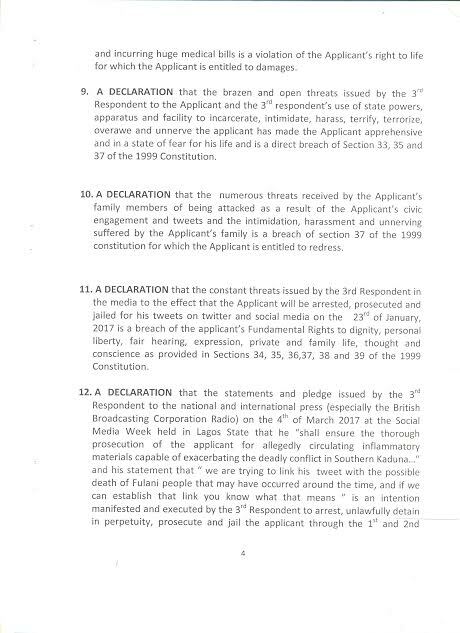 Justice John Tsoho on Tuesday, 16th May, 2017, Mr. Maikori prayed the court to enforce his fundamental rights against undue harassment and intimidation by the Kaduna State government, the State Governor and the Nigerian Police. Mr. Maikori, an indigene of Southern Kaduna had been at the forefront of advocacy to bring the world’s attention to the Southern Kaduna carnage following admittance by the Kaduna State Governor that he had paid the Fulani herdsmen aggressors in the region to stop the killings. 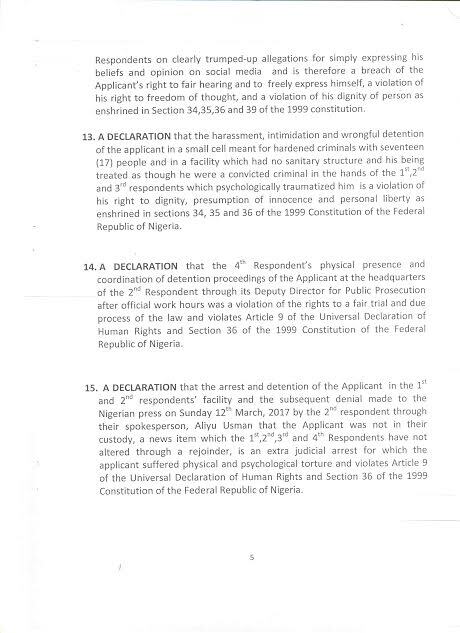 Mr. Maikori was arrested by the Nigeria Police on charges of incitement based on a petition by the Kaduna State government attributed to a tweet, which he later retracted and apologized for when he discovered his driver had lied to him to obtain money fraudulently. 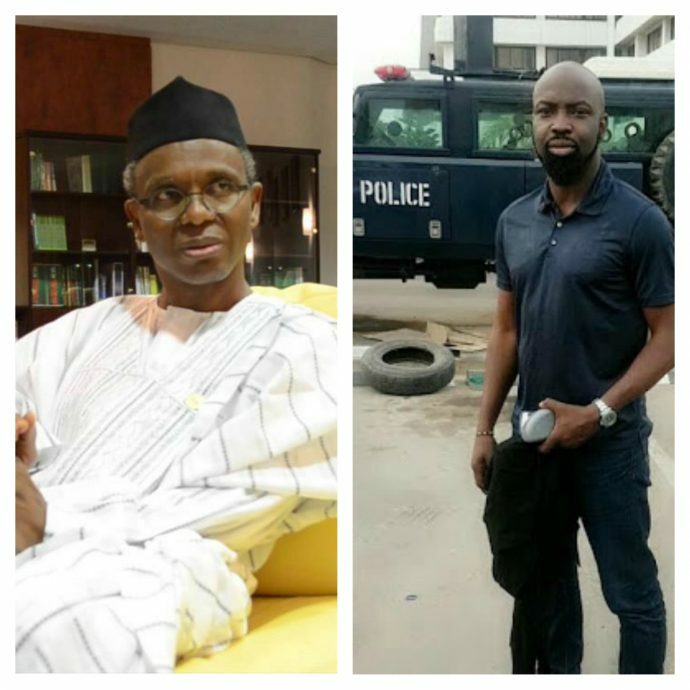 After intense social media pressure, he was released on bail and subsequently cleared of any complicity by the Police Force Headquarters only to be re-arrested again and whisked off to Kaduna after Governor El-Rufai publicly vowed to prosecute him during the Social Media Week 2017. 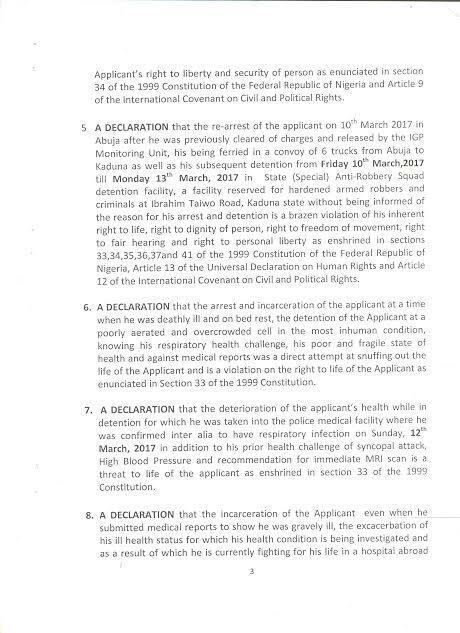 Following his detention for four (4) days, he was charged to a Kaduna State Magistrate Court under Section 24 of the Cybercrime Act of 2015 but released on bail on medical grounds.